Above all, Cuban rum is said to have a certain aroma and taste profile, which is usually described as light, flowery and very balanced. Now after such a sentence, you might expect that I’ll let something different follow and write about a Cuban rum that’s out of line, but I’m not going to do so. Instead I would like to review a group of Cuban rums today that are relatively exemplary for the rum nation, but do not yet have as much international recognition as other brands. 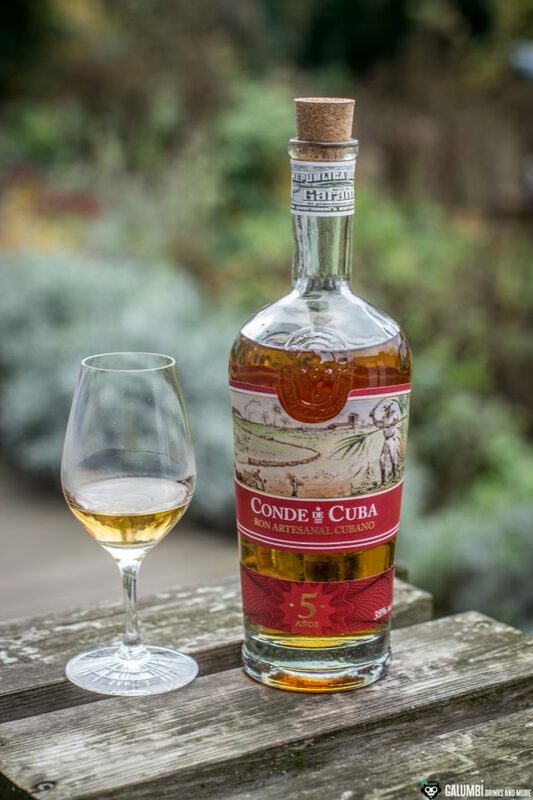 Conde de Cuba is the name of the bottlings that come from “The Ron Sevilla Factory” in Las Tunas in southeastern Cuba, where rum has been distilled since 1946. In accordance with Cuban law, the rum is made entirely from local sugar cane. The variety “Medialuna” is cultivated here on their own plantations and is also processed there to the final rum. The fresh sugar cane juice is boiled in order to produce molasses and finally it is allowed to ferment in large tanks with the help of the distillery’s very own yeast cultures. In the Ron de Cuba series different bottlings exist and in the following I will have a closer look on most of them. 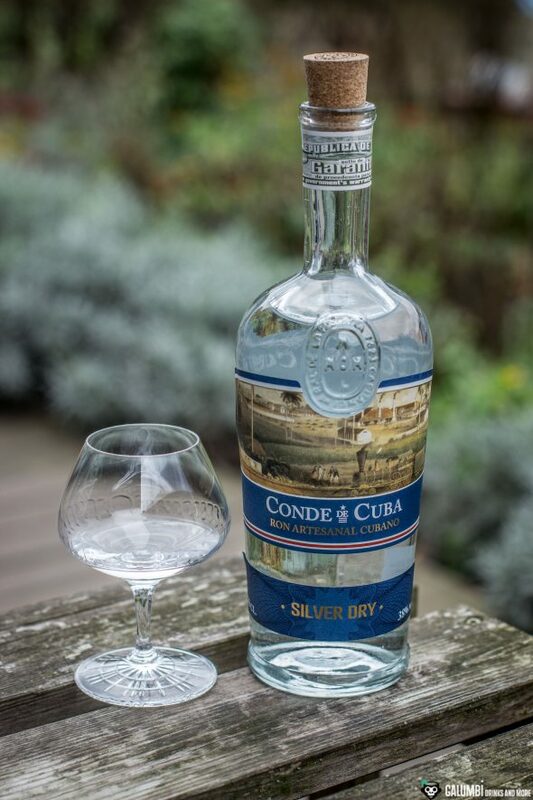 The Conde de Cuba Silver Dry is the “unmatured” quality of the range, i.e. the white rum. However, also this white rum is not really an unmatured one (as I’ve recently also spoken about in the course of my article about the Veritas White Blended Rum), because it is made by blending different matured rums and a subsequent filtration, hence the white color. With an ABV of “only” 38%, this rum (as well as the other rums of the series) may be a little weak for my taste, but maybe I’ll be taught a better lesson here. Aroma: The Conde de Cuba Silver Dry offers a very light nose. Vanilla and coconut nuances arise, but this is not really complex and intense. However, we are not really dealing with a classic “sipping” spirit here. Taste: Also on the palate, this rum is slim, simple and mild with vanilla, again associations of coconut and a certain cream note. Well, it’s certainly not the best white rum I’ve tried so far. It does not come close to the quality of a Veritas White Blended Rum or a Plantation Three Stars. But if you’re looking for an uncomplicated, light rum and of course think of it as a cocktail ingredient, you won’t do much wrong. In any case, I used it in a Ron Collins and was satisfied. Preparation: Shake all ingredients except for the soda water vigorously in a shaker and pour into a glass filled with fresh ice. Add the soda water. The Conde de Cuba 3 Años is the next higher maturation level in the range. It was allowed to mature in oak barrels for three to four years (the fact that former Whisky barrels from Scotland or Ireland are used is probably not surprising, given the tense relations between the USA and Cuba). Aroma: Theres not really much showing up on the nose here yet. The first impression is still very light with subtle oak notes and a certain, fine herbal tone. Associations of vanilla cream cross my mind. Taste: Also on the palate, this rum is a very mild and fine one with a quite slim body. A creamy vanilla, some oak wood, cinnamon and orange notes are all I can find here. Also not a real “sipping-rum”, but a solid three year old. Finish: relatively short and surprisingly dry. 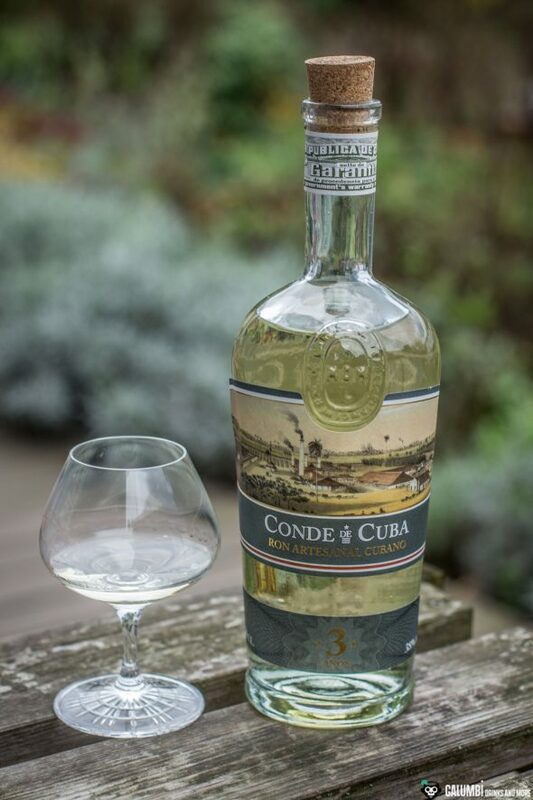 With an age of three years, the Conde de Cuba 3 Años is still very close to the Silver Dry, which is why I decided to mix it in a very interesting drink that is actually based on a white rum. 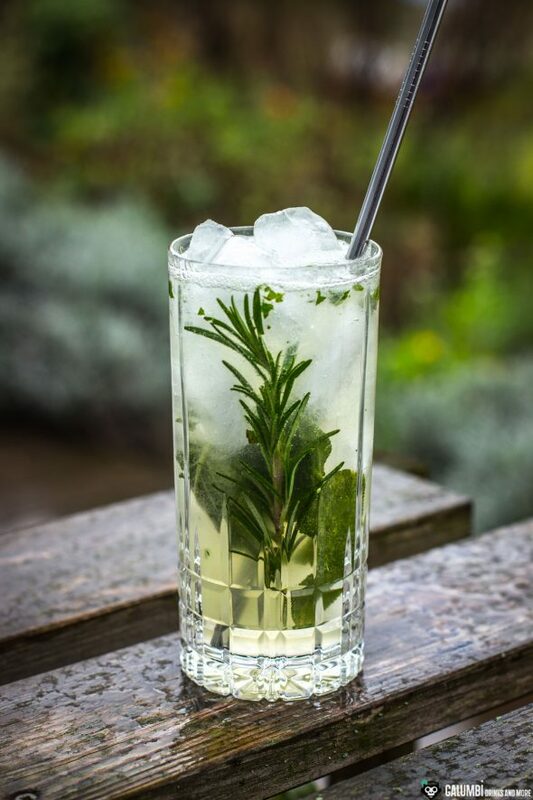 The “Lilli” is a cocktail by Davide Demarchi, which I discovered in the German book “Cocktailian Volume 2” about rum and cachaça. 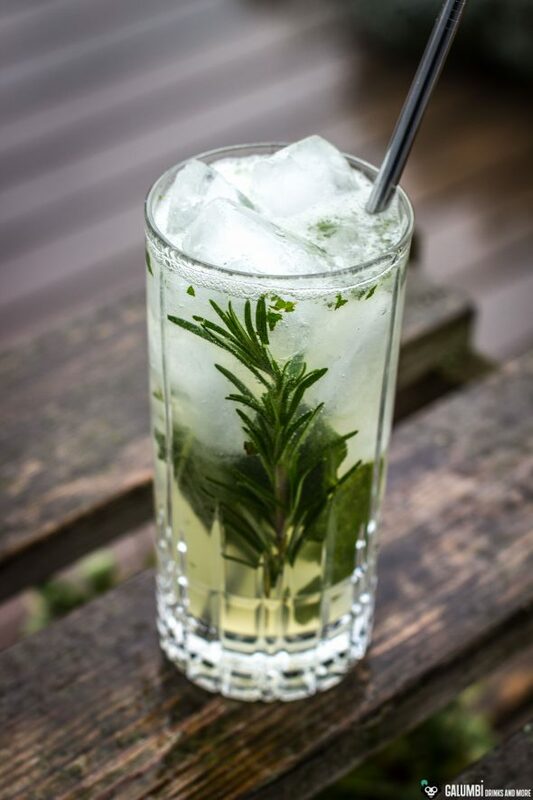 The combination of white rum with rosemary and sage is a great thing and here the three-year-old Conde de Cuba harmonizes really well! Preparation: Shake all ingredients except for the soda water with ice cubes in the shaker for approx. 10 to 15 seconds and finally pour completely into the pre-cooled glass without straining. 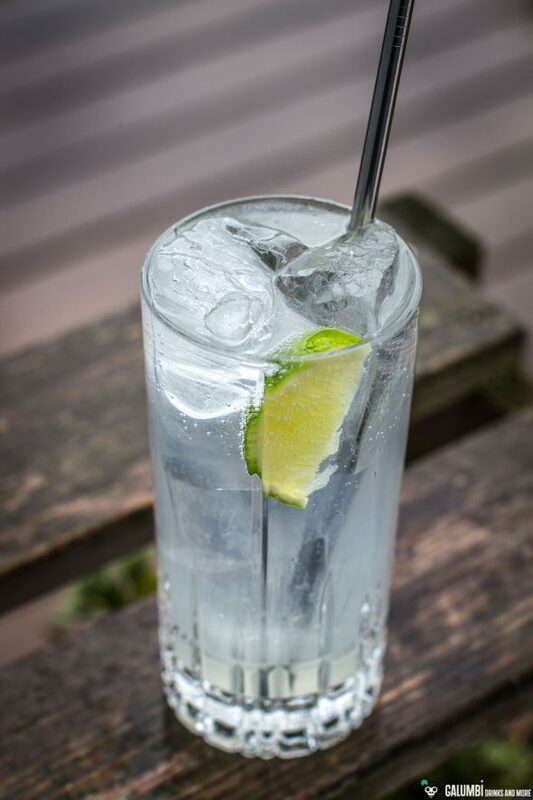 Top with soda water. In the case of the Conde de Cuba 5 Años, the manufacturer reports production using the Solera process. And that is unfortunately – contrary to my praise for Cuban rum – not really a plus point, especially not with regard to product transparency. I went into this a little bit more in the context of my review of the Ron Cihuatán Solera 8. Nevertheless: in the end something else decides for me! Aroma: Regardless of the pros and cons of a Solera, this one shows a certain maturation compared to the three-year-old. Especially the orange tones step into the foreground and the herbs are also emphasized: above all I can find some sage here. Otherwise caramel, oak, nutmeg and some cinnamon combine to a quite appealing, but still very light rum. Taste: Relatively palatable, but not particularly complex. Orange and vanilla go hand in hand here; spice notes from the barrels are also present and offer a much-uncomplicated rum enjoyment. Finish: slightly longer than the three-year-old, especially with spices and oak. Aroma: The significantly higher age is immediately noticeable in intensity and complexity. Oak tones are overly clear and bring with them a whole load of spices: cinnamon and nutmeg are back, subtle clove, vanilla, saffron and a very fine smoke also come through. There are no more fruit notes, which can be found here, but a rich honey, caramel and coffee. Taste: On the palate, there is a similar picture because here too basically no fruit can be found, but spicy oak with a load of spices, vanilla and caramel, honey, milk chocolate, coffee and cinnamon. A beautiful and convincing rum, which still conveys the light-footed Cuban flair skillfully. Finish: long-lasting with spices and oak. 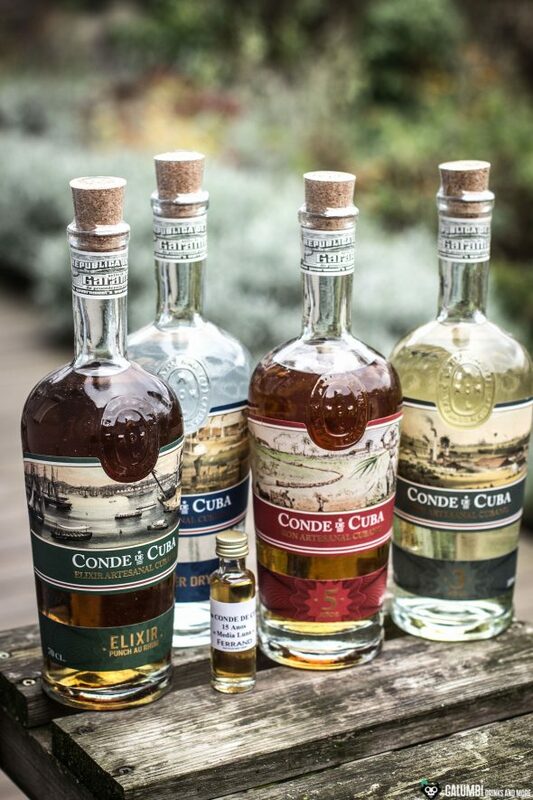 The Conde de Cuba Elixir is no longer really a rum, but a “Punch au Rhum”, as the label tells us. In addition to plenty of sugar, regional spices and fruits have been added, but these are not mentioned in detail. With only 32% vol. 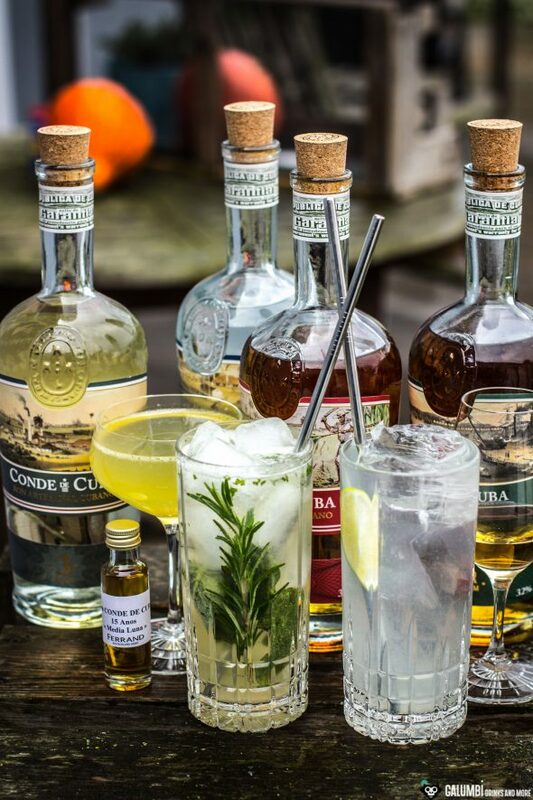 the Conde de Cuba Elixir is therefore much weaker. Aroma: You can immediately scent the sweetness, no question about it. 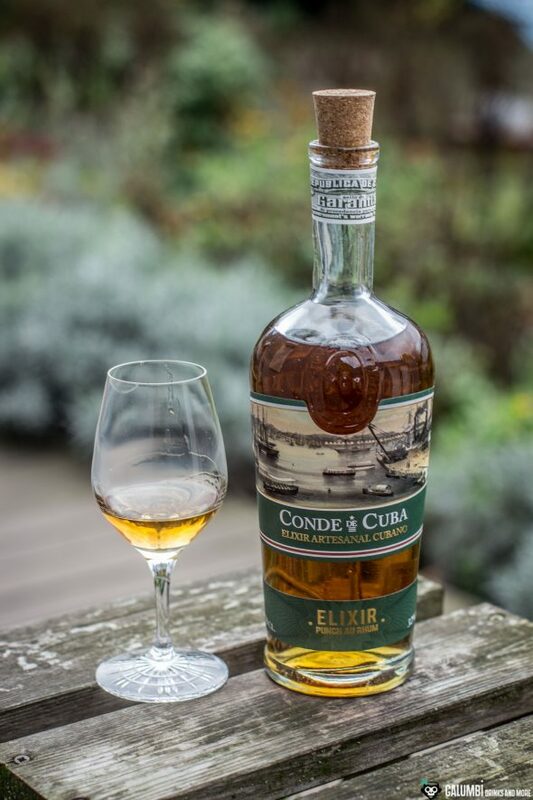 Nevertheless, the Conde de Cuba Elixir remains rather modest and light in its appearance. The full load of fruit and spice that I initially expected from the term “Punch au Rhum” (as for example with the Clément Créole Shrubb) is not apparent here. Rather, the scent reminds of sugar cane juice. 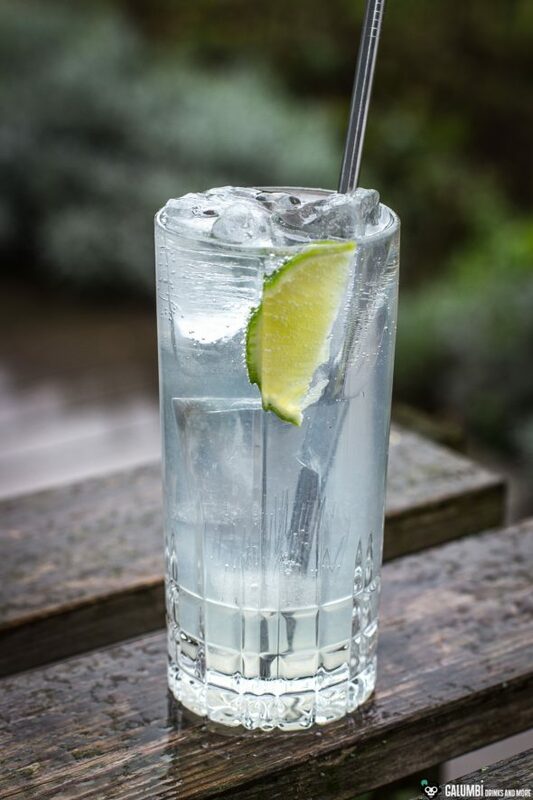 Taste: Sweet and sugary with spices – Here I actually have something in my glass that remains rather subtle and light, but which should appeal above all to friends of sweet tastes. If you keep in mind that some spirits are sold under the name “Rum”, which are much sweeter than the Conde de Cuba Elixir, then you can easily make a recommendation to friends of such “sweet rums”. 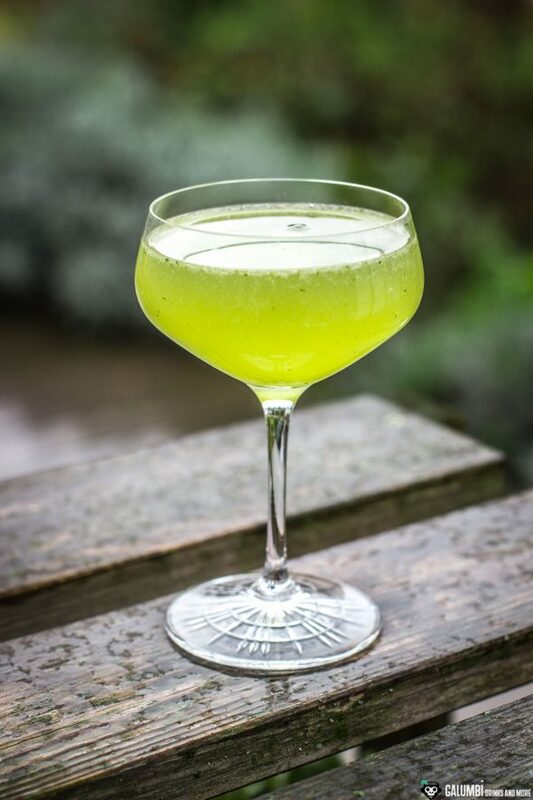 Here I was curious about a cocktail and dared to try a variant of the Daiquiri, in which the Conde de Cuba should set its own accent together with fresh mint and Pierre Ferrand Dry Curacao. 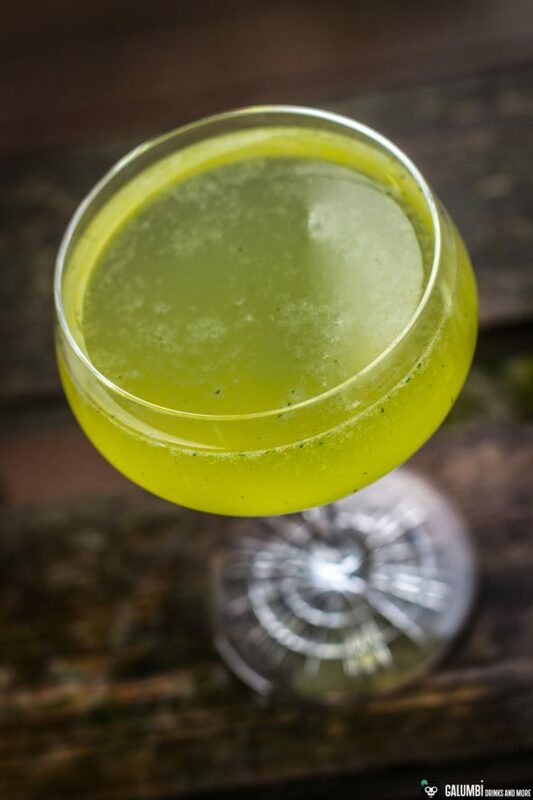 The variant simply listens to the name “Las Tunas Daiquiri” to honour the region of origin of the Conde de Cuba. Preparation: Shake all ingredients vigorously on ice and finally strain twice into the pre-cooled glass. Overall, the Conde de Cuba Rums certainly do not reinvent the wheel and even though the 15 year old is already a recommendable sipping rum, I think especially of cocktails in connection with the series. This is not even meant to be a qualitative degradation of the rums (nor do I want to say that sipping qualities have no place in cocktails in return), but simply to make clear that there can be done a lot with the Conde de Cuba rums in a shaker a stirring glass. As long as you’re not up to finding your new all-time sipping favorite.